Aluminum Architectural T-Bar is the most commonly used aluminum for architectural applications. It has above average corrosion resistance, good machinability, and is excellent for welding. 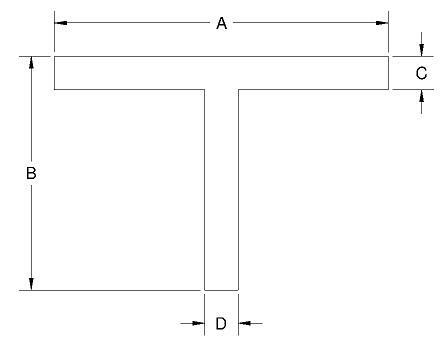 Architectural T-Bar tends to have a sharp 90 right angle in the corners unlike structural that has a radius. We provide Aluminum T-Bar in alloys 6061 and 6063.